An extensive tutorial (with fully working/deployed code) on building an API on top of the app built in Michael Hartl’s Rails Tutorial. Rails 5.1 will have first-class support for Webpack. This post explores the new alpha version of the official Webpacker gem and its features. How do you choose the right development team? Referrals! Every project we've handed over to our client's in-house team leaves them blown away by the quality of our code. 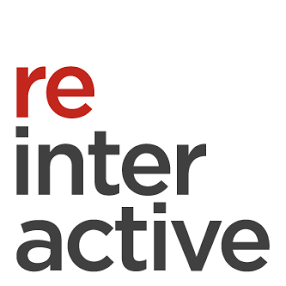 Choose reinteractive to help with you with your development needs and inherit good code! Step-by-step instructions to create and run a simple Ruby app that generates and renders animated graphics using the graphics gem and SDL. Not only is Ruby’s Timeout class dangerous, even using ensure does not ensure you’re OK with Rack::Timeout. Thinking about what your tests can do both for you and to you. Noel has also launched a testing email course with Avdi Grimm of RubyTapas. Rails Girls gives scholarships to help women get started with a career in tech. The creator of Rails answered a lot of interesting questions. A variety of things including redo, RbConfig, and using methods on heredocs. How to write test-driven code that interacts with vendor APIs, using AWS Ruby SDK & DynamoDB as an example. A technical example of using mruby-prof to profile and debug mruby. Applying several refactorings to make service objects better. How to avoid validations that fail and how to clean up the data when they do. A quick story of how a Ruby upgrade unveiled a bug in Tom’s code. An example of using Flex and Bison to quickly produce LALR/GLR parsers. Makes sure nothing is changing core classes or modules at runtime. Includes native support for WebSockets and static file serving.